Insurance. We work directly with your insurance company during the entire claims process to make sure you are properly represented. NTRCA Member. 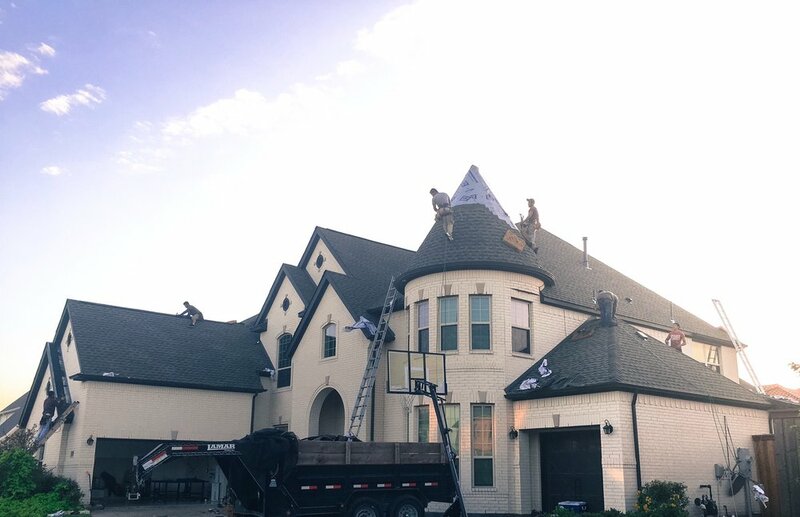 The North Texas Roofing Contractors Association recognizes Frame Restoration as a company who upholds all standards in regards to the construction process, code of ethics, and insurance laws. As an insured local business you can trust, we always strive to maintain our position as one of the elite in our field. Our Experienced Roofers Are The Best In The Business. We work quickly and will have your home completed on schedule. Your roof will be the most beautiful on the block, we are sure of it. Excellent Customer Service. We sincerely care about you and are always on call for any questions/concerns you may have. We supervise our job sites and do a thorough walk through after the job is completed. Warranty & Satisfaction Guaranteed. We provide a 5-year workmanship warranty on your roof and a lifetime material warranty and will always stand by our work. Our Entire Team Is Bilingual. Seamless communication with our team allows us to give you the exact repairs that you want and allows us to get the work done right the first time.